but subsequent work was not able to reproduce the same results. but by 2002 they realized that was wrong, too. which scientists at Berkeley were able to confirm. has been five and half seconds. with protons and neutrons arranged into shells. for the strong nuclear force to keep them together. into a whole that lasts. The Russians might have created an atom of the metastable isomer 289mFl in 1999, but that one atom was gone in a moment; blink and you’d have missed it. It was gone in a moment and has never come back since. 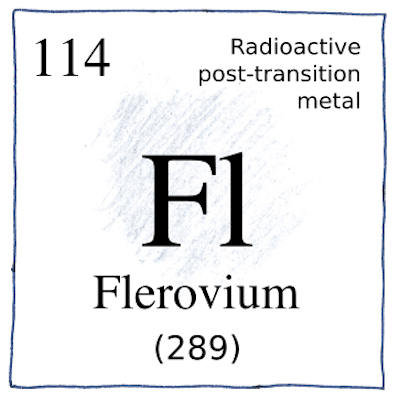 In the first successful experiments, the team created two atoms of flerovium-288, and one atom of flerovium-289.